There are TONS of things to do! Here’s a quick (and by no means exhaustive) list of fun activities that’ll allow you to get off the couch, burn those calories (especially if you have losing weight or getting in better shape this year as a goal) and enjoy some quality time with your kiddos – from tots to teens! PIN THIS for sharing and future reference! 1. Go for a walk. The age of your child(ren) will, of course, determine the speed and distance of your walk, but the fresh air, sunshine, and movement will still “do a body good”! 2. Ride bikes. You can actually buy a bike with a big, cushy seat. Praise the Lord! 5. Go swimming. This one’s my favorite! Burning calories while having fun with the kids AND without breaking a sweat…yeah, that makes me happy. Whether it’s laps or Marco Polo or another game, it’s all good! 7. Play some water games. Run through a sprinkler. Have a water gun or water balloon fight. Being chased with a loaded water gun or water-filled balloon can really put some pep in your step! 8. Build a backyard obstacle course. It’s easier than you think and there’s lots of room for creativity. 10. Play a game of ultimate frisbee. This ain’t your grandma’s version of frisbee! Check out the rules and how to play the game here. Of course, you can always fudge the rules a bit to make it work for your crew if you have younger kids and less than the needed number of players, but you’ll still be working up a sweat. We’d love to hear your fun ideas for staying active with your kids. Feel free to share them in the comments section! Click on the image to find lots more wonderful and worthwhile activities. After five children I’m not even going to attempt #9, but swimming is right up my alley and we plan on doing loads of that this summer! Great list! I would probably have to pee before doing most of those. It’s all good, it happens. 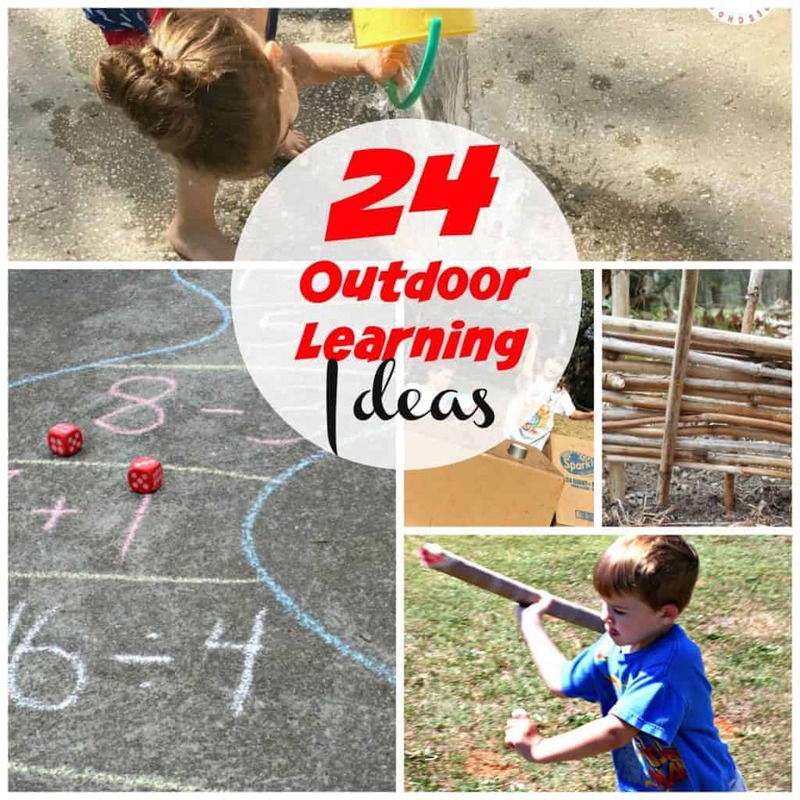 😉 Great list, kids need to get outdoors more these days. Jumping on the trampoline is another one I enjoy. But definitely pee before that one too. And don’t ask how I know that either. Thanks for sharing this list on the Art of Home-Making Mondays. It also gave a few smiles this morning 🙂 It just goes to show that we can exercise the old fashioned way without fancy gyms and expensive memberships! Great list! 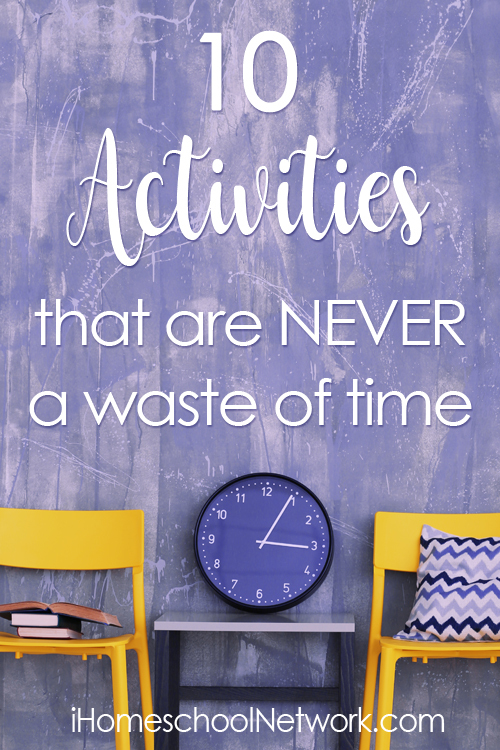 I’m stopping in from the TGIF Linky Party, and I will definitely be pinning this to my board for great fitness ideas you can do with your kids. I used to love jumping rope when I was a kid… I should give that a try again! Yay! I’m so glad you stopped by. 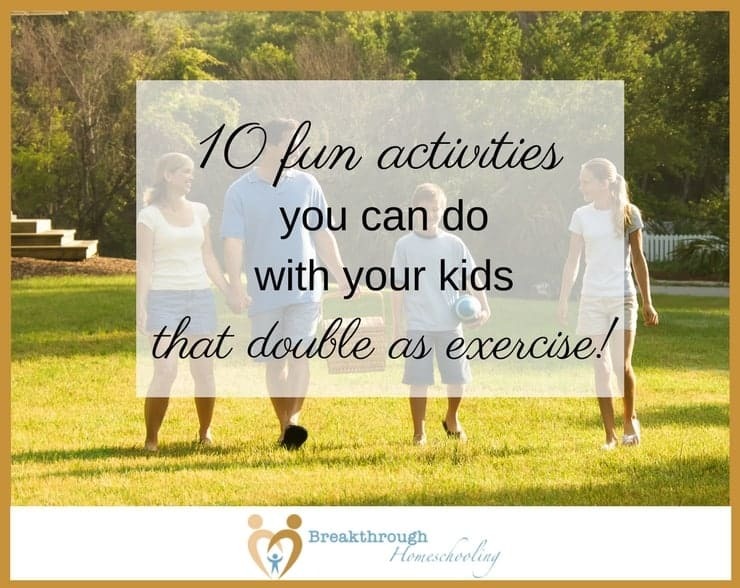 And, definitely get a jump rope…You and your kids will have a blast!! Great list! I’m glad I’m not the only one concerned about peeing though! 😉 I will be pinning this when I’m stumped for ideas (which happens often these days!). Thanks for sharing! Hahaha! You are definitely not the only concerned about that. Most folks just aren’t willing to talk about it. 🙂 I hope you’ll stop by tomorrow and join us for our weekly link-up, Coffee and Conversation! Hey just popped over from 3GLOL. What fun ideas. I have been looking for some good things to get myself and my kids more active. Really interesting ideas. I haven’t thought about these things. Sometimes ya’ gotta get creative – lol!